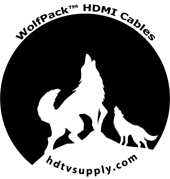 HDTV Supplys WolfPack 50-Foot AOC HDMI Cable (AOC) is a high performance, low power consumption and low cost HDMI cable. The AOC HDMI Cable uses optical fiber to replace some of the copper wire as a high-speed signal transmission medium. This AOC HDMI Cable can perfectly transmit a 4k@60HZ UHD image up to 15-meters or 50-feet. 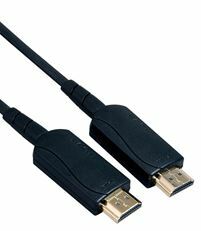 Compared with the traditional HDMI copper wire cables, these Active Optical HDMI Cables go further, are smaller, have a better signal quality together with flawless perfect EMI/EMC immunity. Compared with other HDMI optical fiber transmission solutions our AOC HDMI Cable is easy to use, has perfect HDCP 2.2 compatibility and doesn′t need an external power supply. This AOC HDMI Cable is a little different with most other fiber optic cables. First, it′s slightly bigger than the optic cable. Second, the bend radius is 20mm. Third, the permissible tensile force is 100N for long-term and 200N for short-term. The WolfPack 50-Foot AOC HDMI Cable is manufactured with both copper and fiber optic in the wire, so some call it hybrid fiber copper cable. We do this to keep the cost down and increase its performance. The Active Optical HDMI Cable draws a small amount of power from the HDMI source device so no external power source is required. Fiber transmission for high speed clock and data channel which makes the received signal 100% the same as the transmitter even after a long distance. The copper wire transmission for for the DDC signal and other side-band signals which can achieves perfect compatibility with all HDMI devcies. 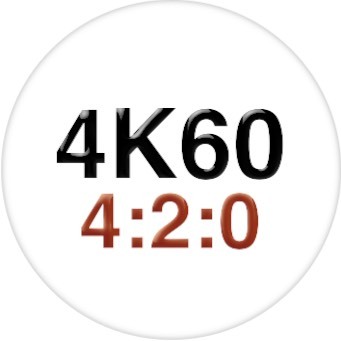 Video Resolution: 4K@60Hz 4:2:0 UHD, 4K @30Hz 4:4:4 8Bit, full HD and 3D Deep Color across all lengths. High Data Transfer Rates: Up to 14Gbps. Embedded Audio: PCM 8−channel, Dolby Digital True HD, DTS−HD Master Audio. 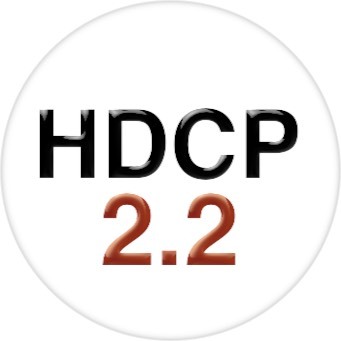 HDCP Support: HDCP2.2 with CEC and EDID pass-through. No External Power Needed: HDMI +5V, consumes only 0.25W from the source and sink device. The WolfPack 50-Feet AOC HDMI Cable can support 4K60Hz UHD with a color space of 4:2:0 and a bandwidth of 10.2GBPS. This cable is HDMI 1.4 and supports HDCP 2.2, CEC and EDID. Note that this does require a self-powered HDMI device on both ends. Both ends contain an optical transceiver that needs power. That said, even in power saving mode HDMI devices should power the cable. So you shouldn′t have issues with waking peripherals from sleep or similar. Why not buy this 50 Feet WolfPack AOC HDMI Cable today? This AOC HDMI Cable was invented to replace copper technology in data centers and high performance computing applications as HDMI copper passive cables are heavy and bulky and in many long cable installations don′t display the video properly. Lengths available: from 10 to 100m (33 to 328ft). Why not buy this 50 foot AOC HDMI Cable today? Why not buy this AOC HDMI Cable today? Q: If used with our 16x16 matrix how much current will be consumed by the matrix and will it cause a problem? A: This type of AOC HDMI Cable doesn't need much external power supply as it only consumes 0.25W with a voltage of +5V from HDMI the 2-HDMI devcies so the current will be only 0.05A. Theoretically, it should be better than a normal HDMI cable. Q: This AOC HDMI Cable has CEC, what is CEC? HDTV Supply includes a 1 Year Limited U.S. Warranty on this AOC HDMI Cable. The U.S. warranty states that (a) its AOC HDMI Cable will perform substantially in accordance with the accompanying written materials for a period of 1 year from the date of receipt and (b) that the cable will be free from defects in materials & workmanship under normal use & service for a period of 1 year. In order to get a warranty replacement for a defective item, HDTV Supplys Support Team will verify the product is eligible for warranty. An RMA number will then be issued. Shipped replacements will be in like new conditions, tested and all components included. A 30-day RETURN also comes with this warranty as well as Free Lifetime Tech Support.